Profs. 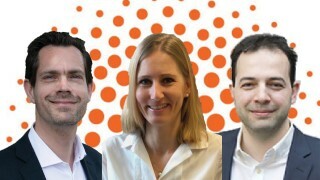 Dominik Bach, Melanie Greter and Fatih Yanik each received an ERC Consolidator Grant 2018 for their research projects. The grants of around 2.4 million Swiss francs (2 million euros) each are awarded over a period of up to five years. Dominik Bach seeks to understand by which psychological and neural mechanisms humans navigate through threatening situations and choreograph a wide range of possible actions. With the aid of virtual reality techniques giving study volunteers a sense of danger, the researchers will track their movements and record neural responses using magnetoencephalography. This should provide further insights into psychiatric conditions such as phobias or post-traumatic stress disorder, but also help professionals train for hazardous environments. Melanie Greter and her team are interested in a unique type of macrophages which populate the brain. These cells originate from embryonic precursors and begin to carry out important tasks in brain development even before birth. This project aims to investigate the developmental requirements for the distinct brain macrophages and their functional specializations at different stages of life. Furthermore, the team intends to gain a new understanding of their function in different brain diseases. Mehmet Fatih Yanik’s ERC project is about understanding and correcting brain activity patterns using minimally invasive brain machine interfaces and precise drug delivery technologies. Currently, brain disorders ranging from schizophrenia and epilepsy to depression and chronic anxiety remain poorly treatable. By developing technologies that can precisely measure and finely manipulate the complex operation of brains, Yanik and his team hope to achieve better treatment of such brain disorders.